I'm trying to not to clutter of the gamecube thread with Wii stuff, so I'm going to start posting in this thread. I thought I had a Wii design narrowed down. But then I realized how many people want to use both HDMI and RGB at the same time. My old design had Wii and Mini HDMI cable constrictions. So over the past few weeks, I've done a complete redesign. This board will only be compatible with RVL-CPU-40 and RVL-CPU-60 motherboards. * RVK-CPU-01 and RVK-CPU-02*- looks like they will work as well, need to double check. These are non gamecube models. I'm not doing the Flex cable route. Its expensive, and I can guarantee there will be issues. (As I have zero experience in flex cable design) This is first and foremost a hobby of mine. I'm not trying to bring a product to market and make thousands of dollars. 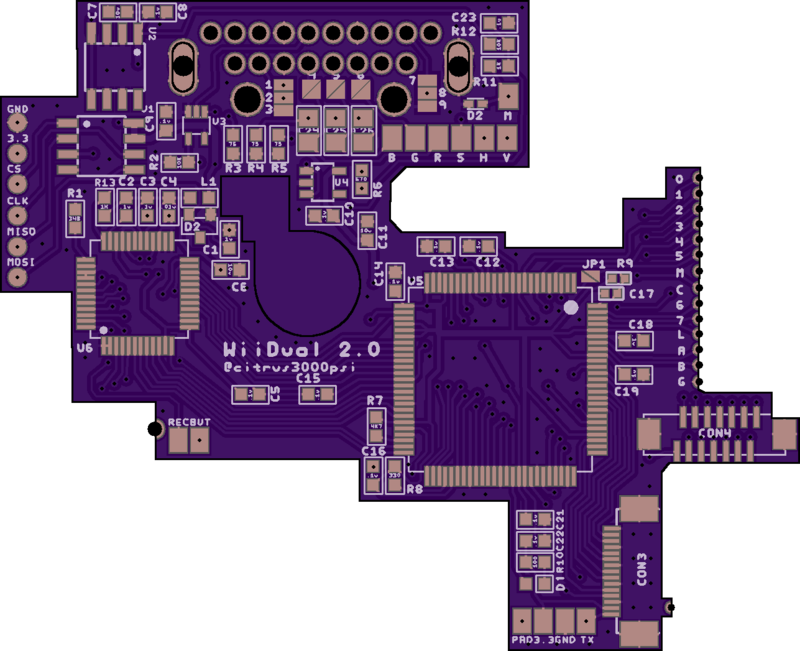 So with that said, I tried very hard to adapt a board design that would allow soldering to the via's. It works but its super flaky. Any mild warping of the board and there are video glitches. No matter how many castellation supports I added, still wasn't a viable solution. So I've reluctantly gone back to a wire solution. So to install this board you will have to wire to the .5mm legs or vias. Sorry. I just ordered some test boards, so fingers crossed. Last edited by citrus3000psi on Fri Feb 02, 2018 7:12 pm, edited 2 times in total. Are you going to offer installs of this like your gcdual once its ready? Id take on Aus for modding GC and Wii. Super excited about these and pairing with a gameboy player. Super keen to get one of these when they are ready. Have just picked up a Black CPU-60 Wii in preparation. Does this mean the RVL-CPU-40 and RVL-CPU-60 both have the same YPbPr output quality? Will they both benefit equally well? So i'm just a little confused here If you have gone back to a wire solution instead of a QSB for the digital signals, whats preventing a wire installation on RVL-CPU-01 to RVL-CPU-30 motherboards? The board layouts are dramatically different from the launch models to the later models. 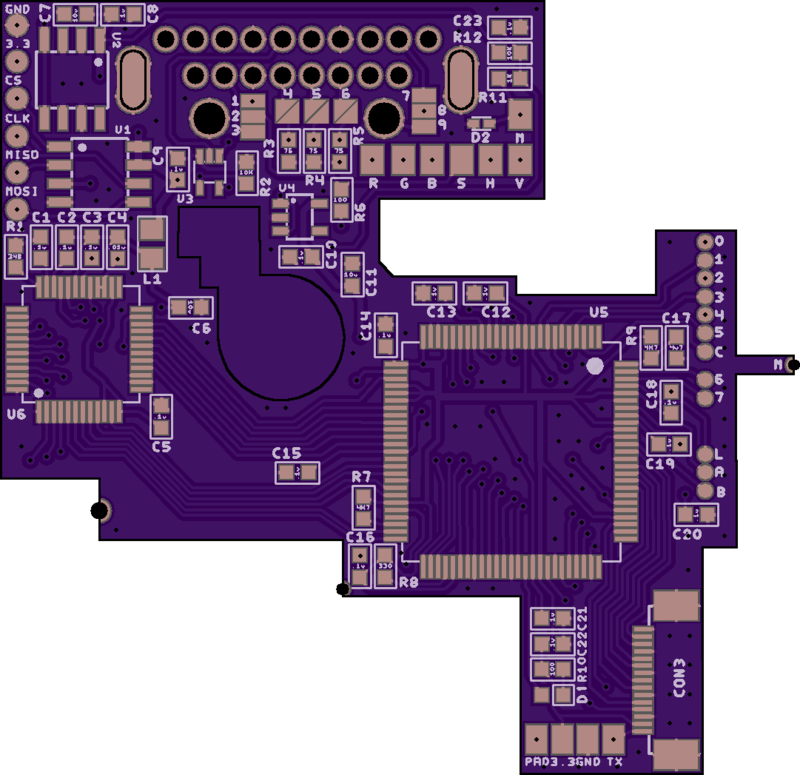 So it would require 2 different PCBs to lay nice. Maybe I'll design a PCB for the early models, IDK. but at the time the first board will be RVL-CPU-40 and up. Ah I see, thanks Hopefully you might be able to go back and support the earlier boards sometime. I only ask as I really appreciate having BootMii/boot2 installed since it allows for easy NAND backup/restore, and means the Wii is practically unbrickable. Unfortunately BootMii/boot2 is only compatible with Wii's manufactured before mid 2008, which basically means only RVL-CPU-01 to RVL-CPU-30 motherboards. Also curious if the new HDMI port location is to the side of the USB ports? 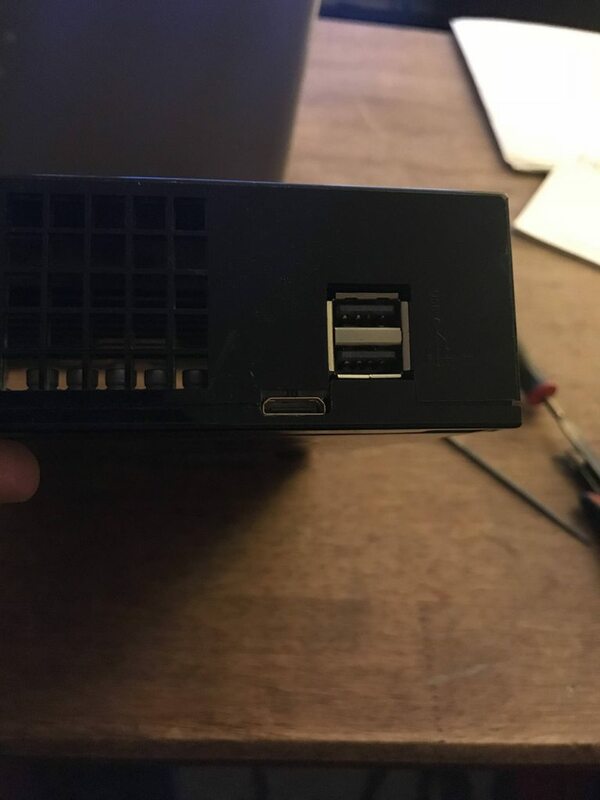 (I noticed the HDMI QSB appears to be designed to fit over the USB port pins) If so does the shielding need to be cut/modified? I just got prototypes back for the HDMI QSB. I plan to do a test fit this week and will take pics. Part of the case will have to cut, similar to the UltraHDMI install. Not sure on shielding yet, but I'd say a small notch will need to be made. Here is what the HDMI qsb looks like after install with a sloppy file jon. I'm going to recommend the smallest thickness for the PCB. Last edited by citrus3000psi on Thu Mar 01, 2018 9:43 pm, edited 2 times in total. Here is what the HDMI qsb looks like install. I'm going to recommend the smallest thickness for the PCB. Very nice - looking forward to hopefully picking up one of these from you if you do a run! So I've decided to try the flex cable route again. I've done a lot research on flex cable design and feel more comfortable fronting the 100 bucks for prototypes. 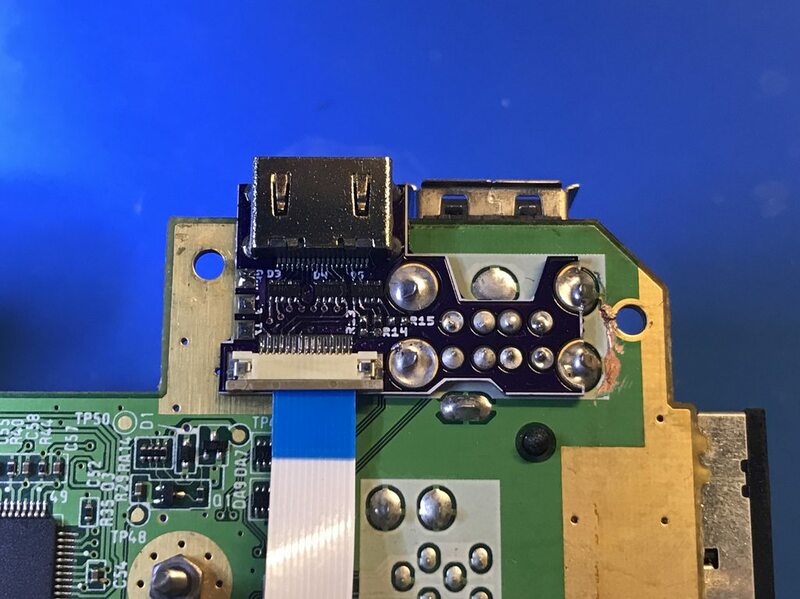 I've also added another FFC connector to the main board which will allow me to test each unit, like the GCDuals. I've also added inline caps on the RGB lines and it will output attenuated CSYNC. That will make this work with the standard RGB cable on the market. The only downside of going this route is that you will lose composite video output permanently. 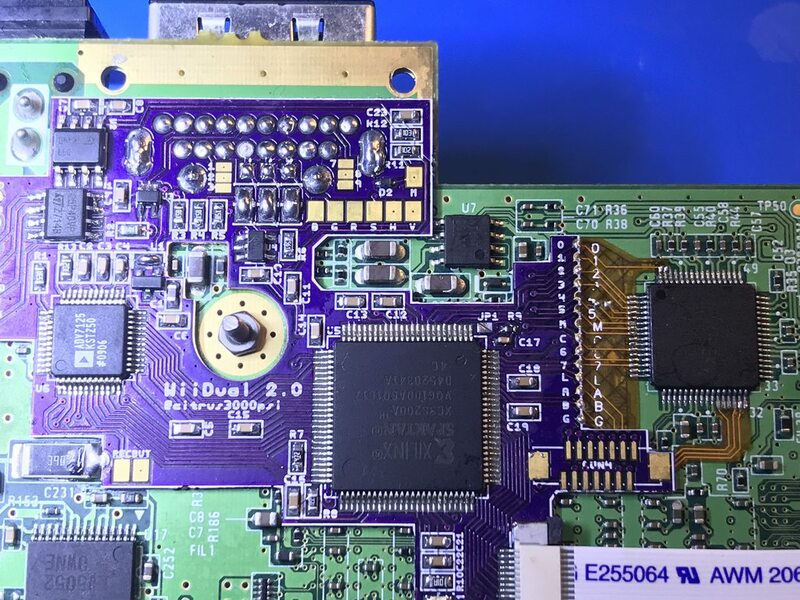 On the board its possible to jump CSYNC to DATALine2 (Used in NTSCJ Wii's for DTerm Connections) instead of composite, but there is no off shelf cable. Perhaps RetroGaming cables can do a run with CSYNC on this line. That would be my preferred method. There is now Receiver Button/IR pads on board so later model wiis (no gc ports) can take advantage of the remote. I'll order PCB's after I get the flex cable back and make sure it solders into the DAC nicely. Add me to the list. Very excited for this Citrus. Will you be offering installation services? I've started assembling the main board. The flex cables I designed work just fine. Hopefully will have some video to show off soon. So can anyone confirm if there is any difference in image quality between the RVL-CPU-40 and RVL-CPU-60? As far as I know they are the same. Board works good. Need to do a few more things. I'll follow up on this shortly. 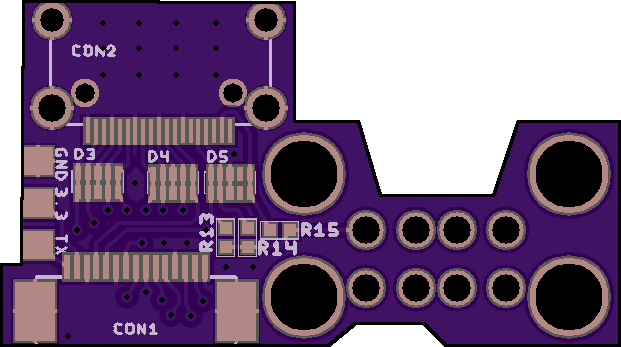 -Switched 3.3v regulator to a more standard package. -Added IR button and IR Receiver on the main board. (This is primarily for Wii Consoles with no GC Ports). Two small holes will need to be drilled below the Multi out. You'll need a paper click to push the button. -Move Castellated edges to make soldering to flex cable easier. -Moved the HDMI connector forward 1mm. I should have read the multiout pinout better. The Component Colors vs the RGB colors do not match. So you have to choose, which cable you want to work out of the box. Either scart of component. Most users should choose scart, and just remember to plug the component cable in differently. Advanced users with soldering, can open the scart head and swap the lines. Then have a working scart and correct color match up on component. Here is the pinout of RGB/Component Cables for those interested. Anyways, I've ordered more boards to test the new additions. But this project is almost ready to get real. This is amazing! Can't wait for this. Great work on your boards Which manufacture do you choose for your flex cable design? That’s a really good idea. Not sure how to change constraints on the fly, Maybe I can figure it out. Looks pretty sweet. Shame my Wii is an RVL-CPU-01, or I would do this to mine. I like it though as the 01 is the only one that properly supports BootMii, plus mine is already HDMI modded with the standard P2X board. Nowhere near as pretty as this, but it works. Looks pretty sweet. Shame my Wii is an RVL-CPU-01, or I would do this to mine. 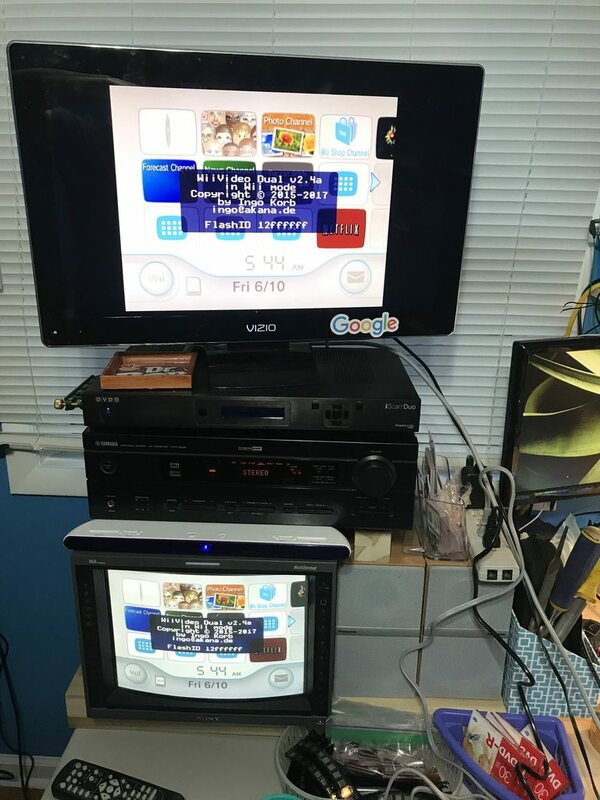 Just get another Wii then, this is what I am going to do as the only NTSC Wii that I have is an RVL-CPU-30 that I got in 2009.